The people of Korovou Village in the district of Navuakece, Naitasiri now have the services of a new boat which has made transportation easier for them. This was possible by the Government through the Ministry of Rural and Maritime Development. Turaga ni koro Adrea Rokoeka said the assistance was timely considering the hardships and difficulties faced by school children, women and villagers. “They found it difficult in getting across the river to attend school, seek medical services and transporting their goods to the market among other things to improve their livelihood,” Mr Rokoeka said. He said they were thankful to the Government and the Commissioner Central’s Office for the assistance. 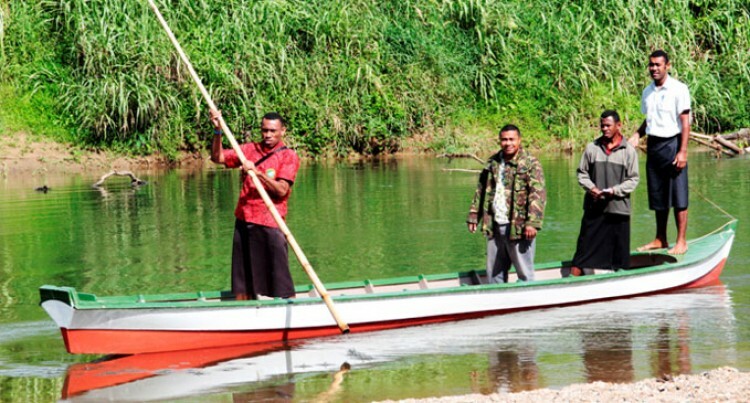 With this new boat, Mr Rokoeka said travelling had been made easier for them. Provincial administrator for Naitasiri, Koroka Baleiwai said the assistance was funded under the ministry’s self-help programme to make transportation easier for the people of Korovou. “This is all part of Governments effort to improve rural livelihoods and to elevate their standards of living to another level,’ Mr Baleiwai said. About 30 self-help programmes will be implemented in Central Division this year costing Government around $251,726.